As we’ve shared previously here at MikeandTheMouse, a record number of Disney villains – more than 50 in all – are about to descend upon Disney’s Hollywood Studios for “Villains Unleashed,” a new separately ticketed event happening August 23, 2014. Among the baddies expected to attend are popular Disney antagonists like Hades, Cruella De Vil, Captain Hook, and Maleficent, along with more rarely seen villains such as Dr. Hämsterviel, Shan Yu, Hector Barbossa, and Bowler Hat Guy. Constantine will be appearing exclusively during “Villains Unleashed,” August 23 at Disney’s Hollywood Studios. Look for him during the event, inside the Stage One Company Store location near Muppet*Vision 3D. 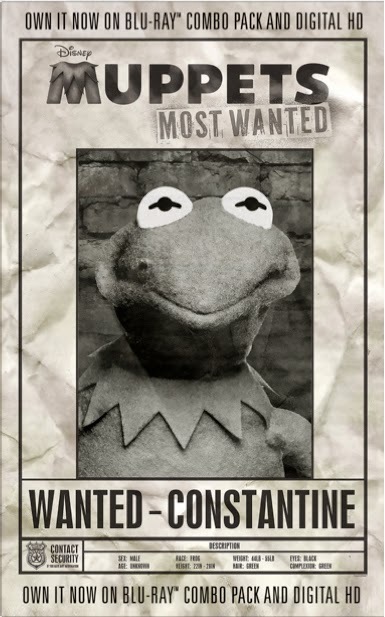 Of course, you can also see him in “Muppets Most Wanted,” now available on Blu-ray Combo Pack and Digital HD. “Villains Unleashed” is shaping up to be one hot ticket! Admission to this special event is $67 plus tax ($62 plus tax for children 3-9). Tickets are limited, so get yours before they’re gone!